It is already a little bit absurd, what a few rays of the Sun and a good amount of Trångsviken so everything with our mind can do: drive is constantly good mood meets deep relaxed mood. And where is driving around you are exactly on such days? Right, of course in the open air. And so this weekend was once again used to in Marzahns “gardens of the world” herumzustreunern, to wobble through the maze, to sip tea in the Chinese garden, and become instantly fell in the Oriental garden. Since then, I dream only remain from a holiday in Morocco and of these blue tiles that eventually need to glue in my kitchen. Outfit Italy / / jacket: MONKI, sweater: acne, pants: Henrik Vibskov, sandals: vagabond. Great weekend the perfect start = in the week, non? In any case, I’m deep relaxed feeling, my two free days lasted at least a week and prescribe me from immediately even more discovery tours. May day: Perhaps by the sea? -Make! 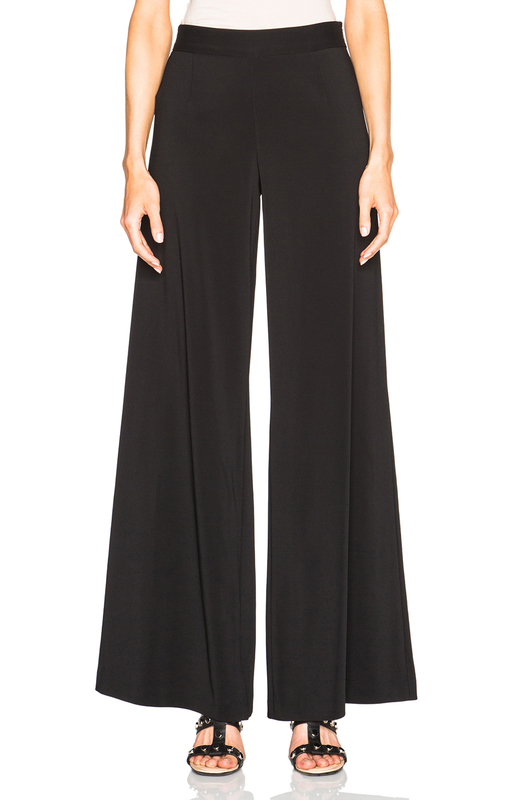 Why wide leg pants? Because there is hardly a more relaxed form of pants. Because the skinny for the time being in the closet there are remains. And because hardly a different model tastes so much like summer vacation – and I can’t get hardly enough of them. I can stay here the whole day.